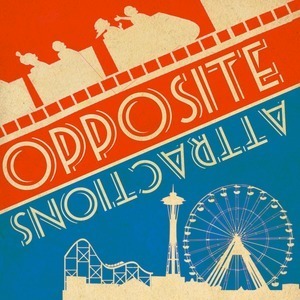 Opposite Attractions is a comedy design podcast, which is a statement that we weren't aware was possible to make, where the two hosts design the theme park of their dreams (or nightmares). Each episode will feature some kind of theme or challenge we are trying to overcome with the design of an attraction (or potentially another theme park element) which may or may not end up being a part of our overall theme park designs. Just like in reality, not all designs can find a place in the final product. Theme music provided by Jason Shaw @ AudionautiX.com under Creative Commons 3.0 and mashed up by the fine folks here at Opposite Attractions.